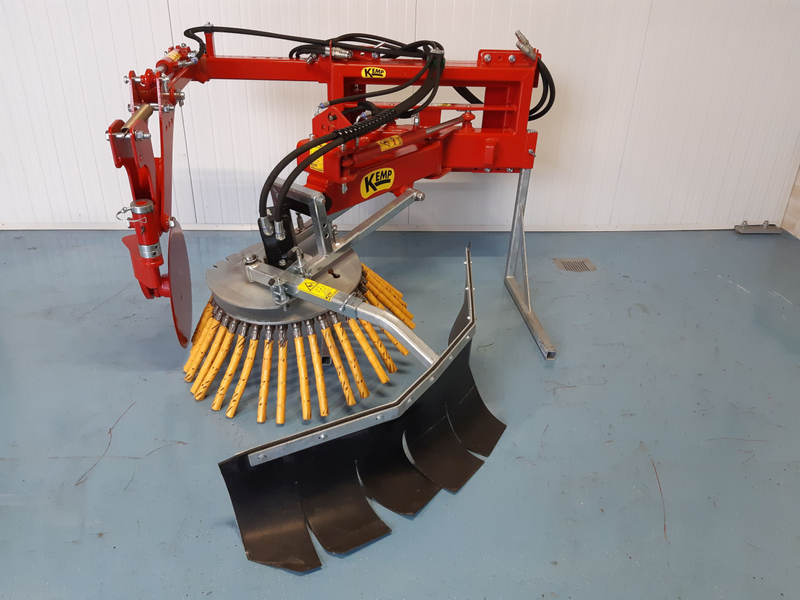 This weed brush can be connected to (mini) loaders, (mini) excavator, tractor, forklift etcetera, as long as the minimum oil yield is 25 liters. The OKB has one brush. 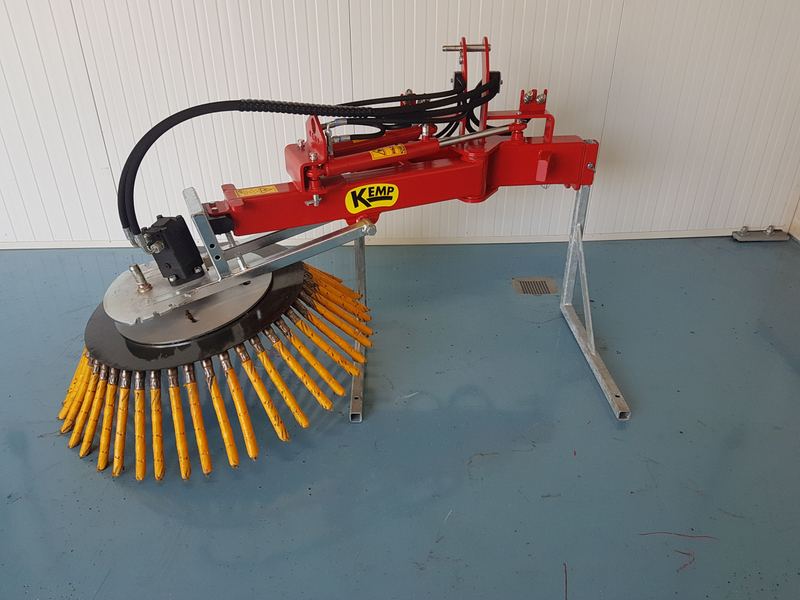 The weed brush is available as a mechanically (OKBZM) or hydraulically (OKBZ) pivoting version. The pivot point is placed close to the vehicle. 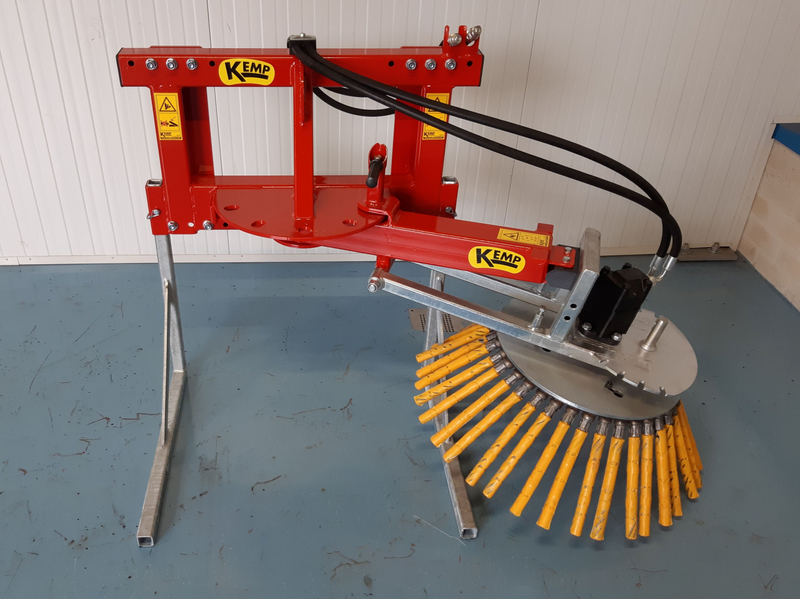 This allows a large swivel range, namely 70 degrees to the left and to the right, so that the weed brush can reach far away from the vehicle and thus there is a good view on the brush. 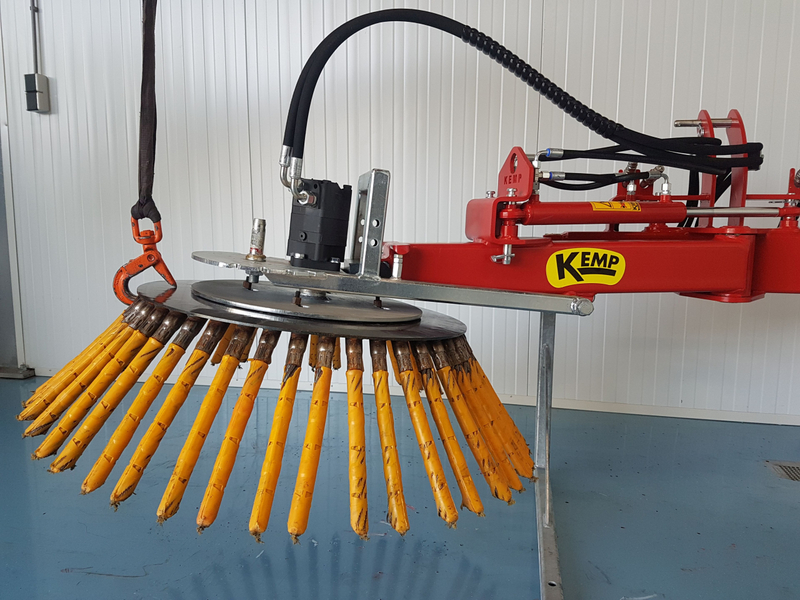 The brush in the mechanical version can be adjusted manually. 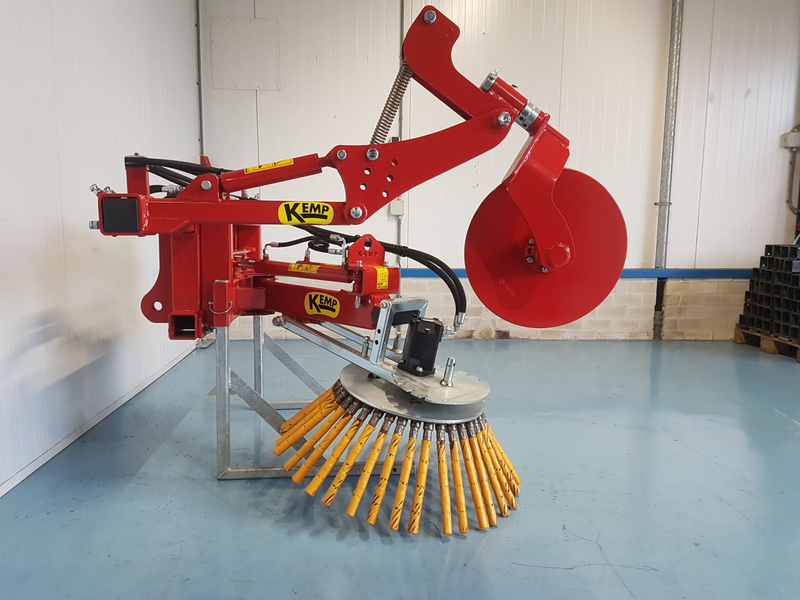 The hydraulic swivelling version uses two cylinders, with which the brush can be put in the correct position. 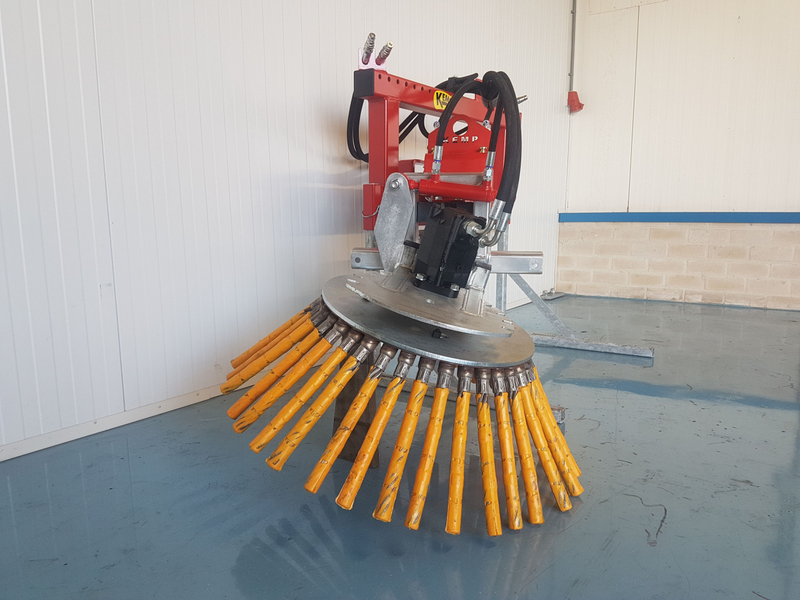 The diameter of the brush is 750 mm. Option 1000 mm (only with steel wire). 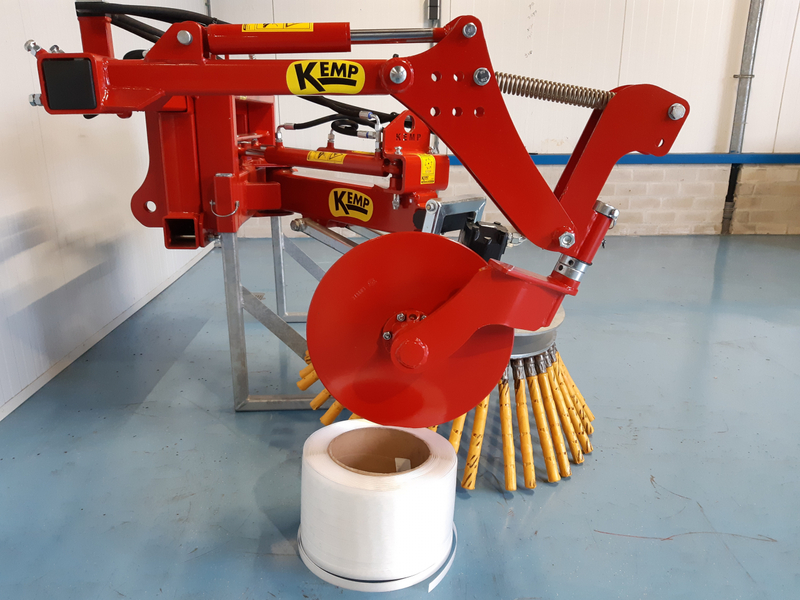 With a 750 mm brush, you can choose (1) 76 bundles of sheet steel or (2) 36 bundles of steel wire. 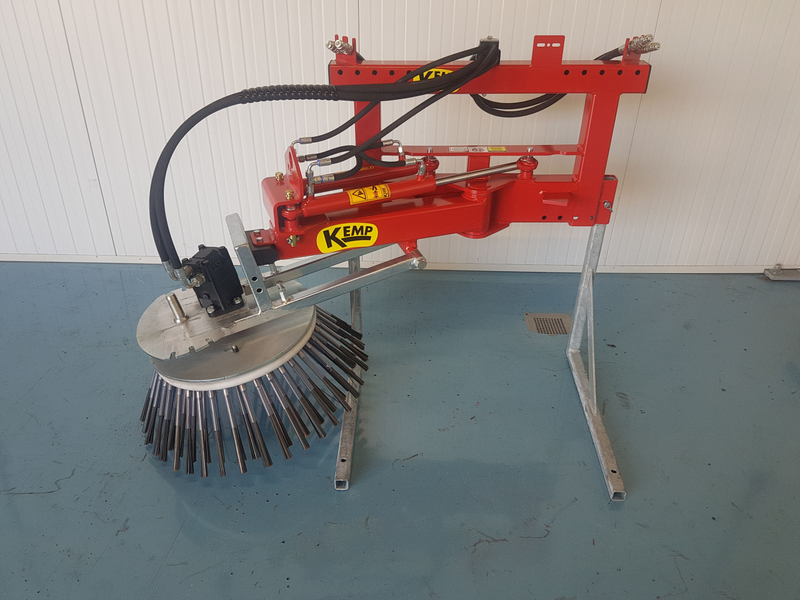 Available with a brush made of sheet steel or steel cable. 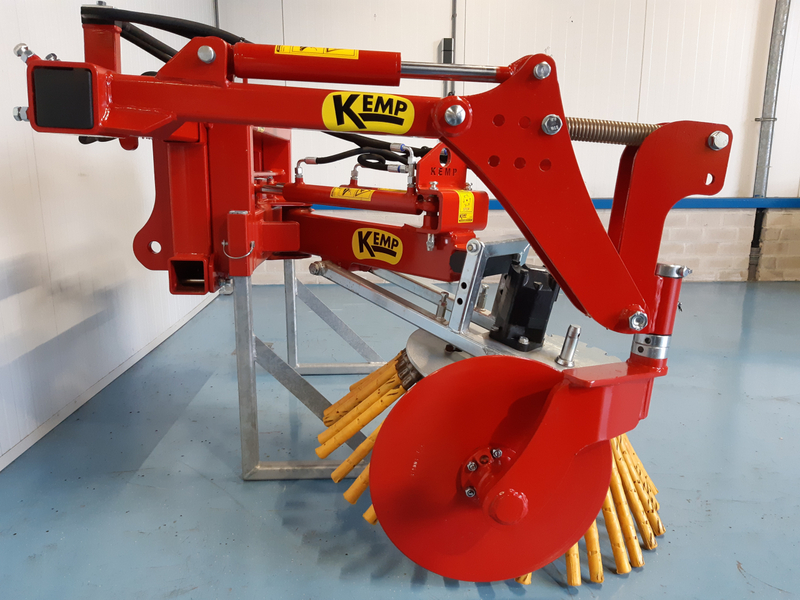 The weed brush is available with the attachments that belong to your vehicle (for the attachment parts, see the document: Kemp attachment parts). 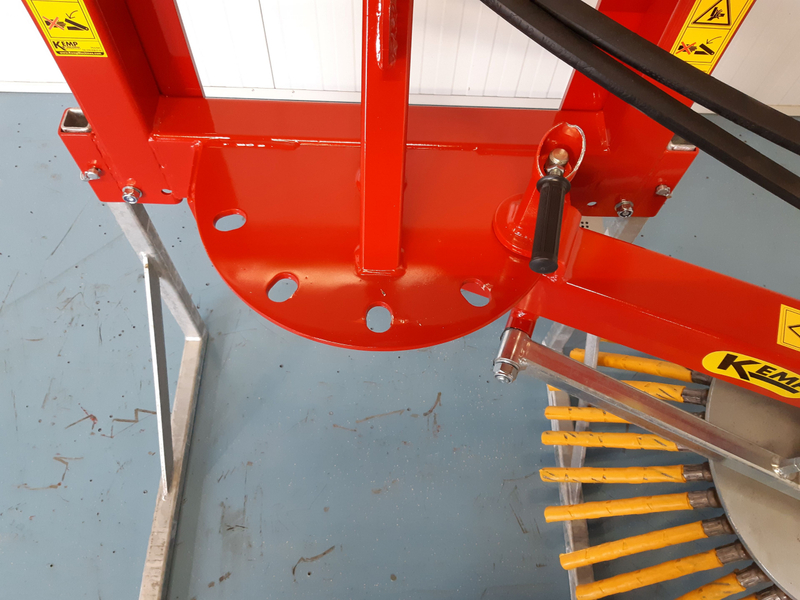 Tilting 15 degrees: A new option has been designed for a 3-point and forklift truck attachment. 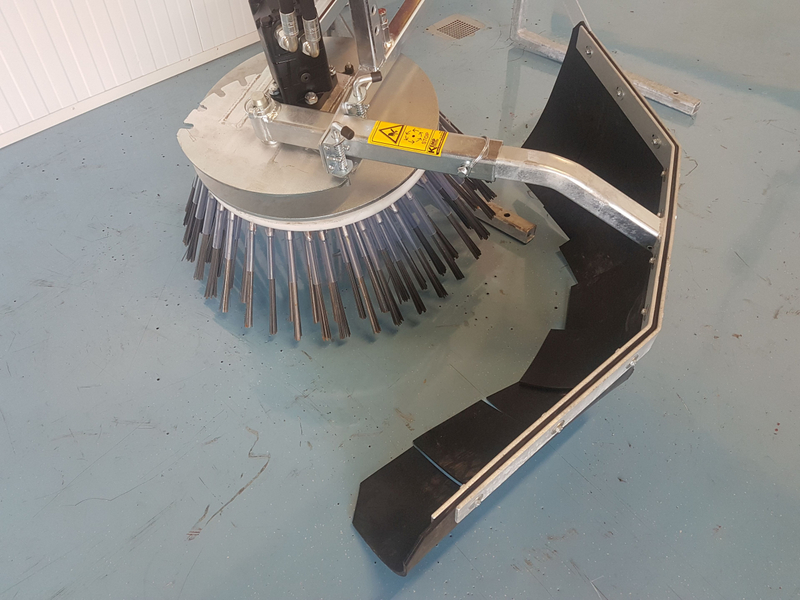 The option allows the machine to tilt the brush 15 degrees. Both front and back the brush can be adjusted by 15 degrees. The advantage here is that the brush can be used more aggressively by tilting. 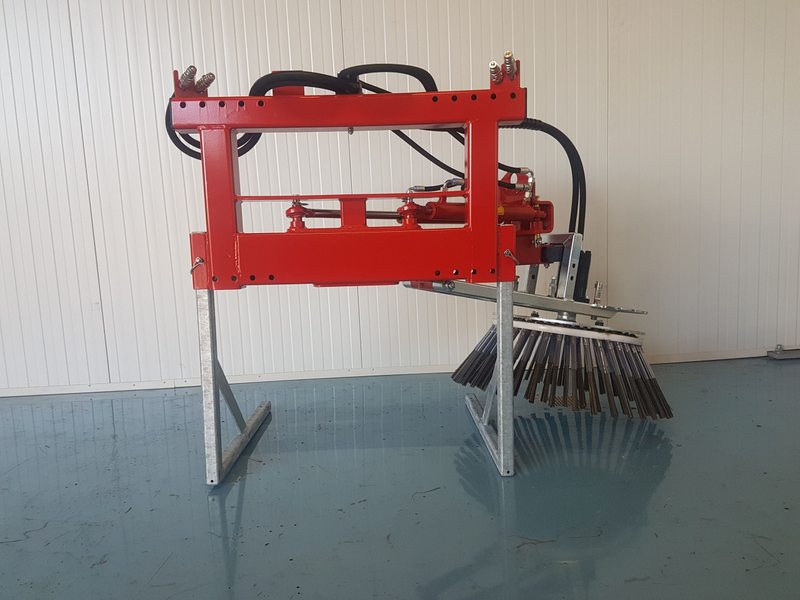 Tilting the weed brush 15 degrees can be operated both mechanically and hydraulically. Edging knife: The edge cutter ensures that the edges, for example from a lawn, are cut tightly. 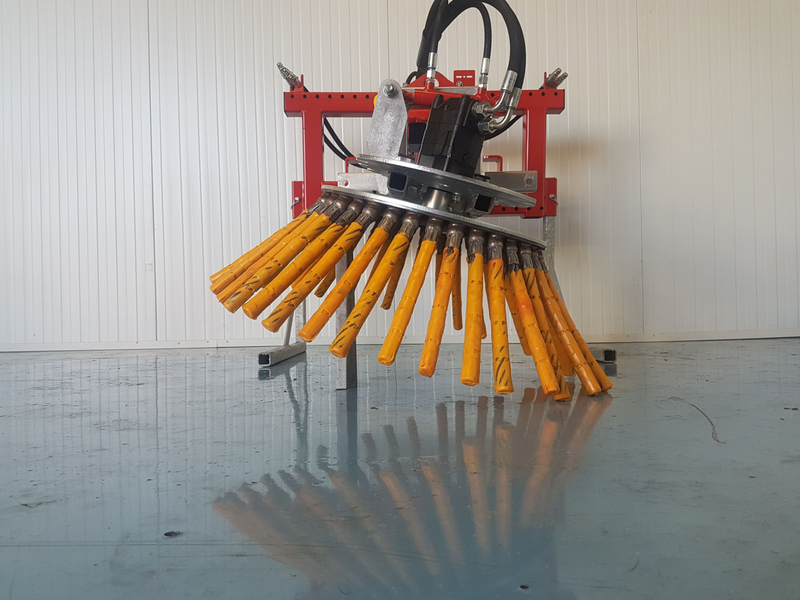 The edging knife is equipped with an obstacle protection by means of a heavy spring. 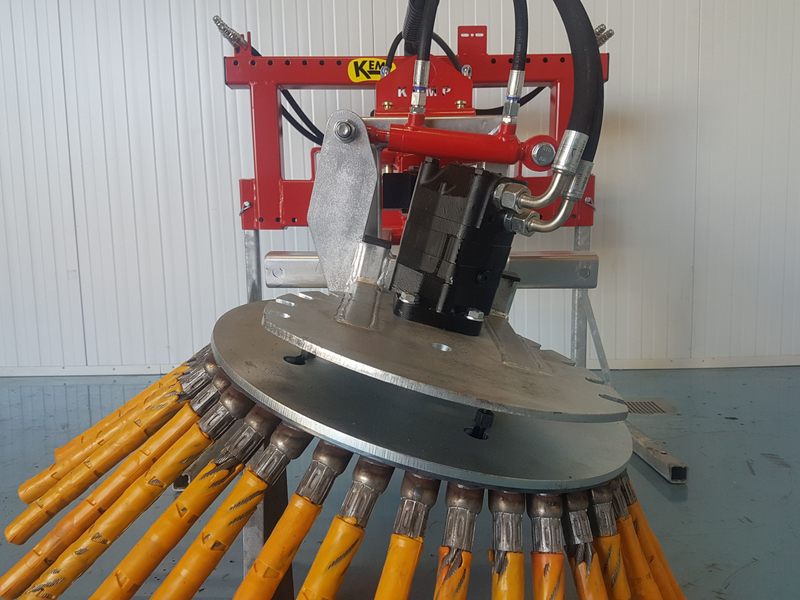 Furthermore, the knife can be hydraulically folded up by means of cylinder. Mounting options for both left and right side.